If you’re investing in new signage for your business there are 7 important things that needs to be considered before we make signs. Before having a sign made, you need to consider the size and scale of it. If it’s shop signage then it probably needs to be bold and stand out. If it’s interior signage then the size of it will likely need to be smaller. When used outdoors the scale tends to be larger, as it needs to cover a larger proportion of the front of the business. Your sign doesn’t need to be the size of the logo or branding, you might choose to incorporate a message or the services you offer into it. Outdoor signs may require planning permission depending on the type it is and the size of it. Each local planning authority will have varying rules, so it’s always best to check. When we make signs the location is something we strongly consider. This will help you to decide on how big it needs to be and what types of one you should go for. When signs are made for outside usage they need to be durable and longstanding, to ensure they can cope with varying weather condition. Ones used indoors are usually smaller in size and constructed of different materials. When having signage made for outdoor use, it needs to be bold and vibrant to catch the attention of potential customers. Sign making usually offers the options of different colours and styles. Style options usually consist of a number of aspects such as materials, lighting, shapes and wording. Most businesses choose to have the colour of their sign the same as their existing branding. Colour and style means everything when it comes to the design of signs, so ensuring you get it right is important. When it comes to making signs getting your branding and message across is key to ensuring people recognise your business. Suddenly changing your branding can cause confusion with your customers meaning they might think your business has closed. If you’re not keeping your existing branding then be sure to announce it to your customers or try to incorporate some element of your existing design such as colour or brand message. 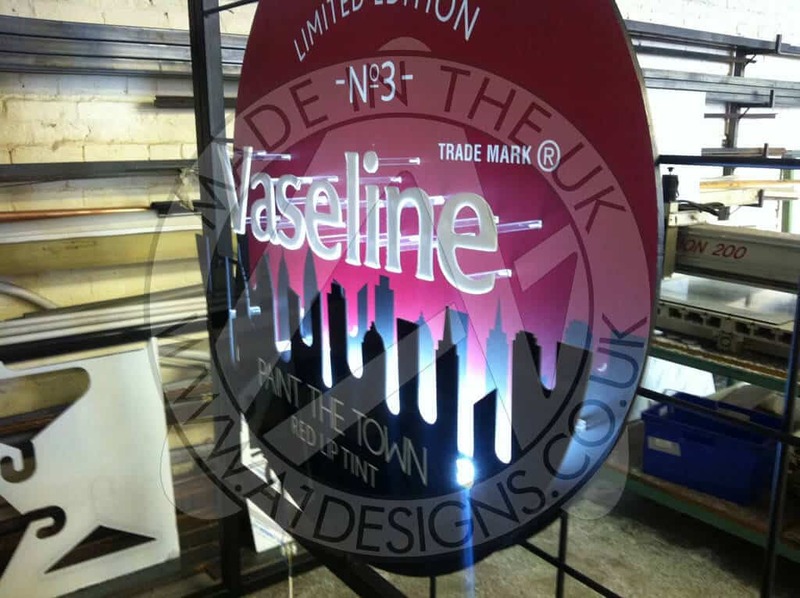 Before any sign making is carried out make sure the sign designer and maker have clear instruction on the branding and message that is needed. Although linking into colour, contrast is a separate factor on its own. Contrast doesn’t only apply to colour it applies to different materials used as well. Using colours that clash or materials that don’t blend well together can make your signage look unprofessional. Signage that doesn’t look attractive can turn people away, meaning you could lose foot fall into your business. If you’re a business that operates during the day or night, then your sign will need to be seen. This means we need to consider incorporating lighting when we make signs. Using lighting features or signs that take full advantage of lights such as neon signs, can help your business to stand out day or night. Material brings all aspects of sign making together. Before making a sign, your chosen sign company should run through the different material options available to best suit your needs. Whether it be metal for outside, acrylic for inside or a combination of materials that compliment your design, you should consider the sign making supplies you will need.